Highland Park North (HPN) is a highly desirable neighborhood of 602 homes located at the intersection of the 45 Toll Road and Heatherwilde Blvd in the city of Pflugerville, TX. HPN is conveniently located on the border of Pflugerville and Round Rock, only minutes from I-35 and Toll Roads 1, 45 and 130, making it an easy commute to many employers in the Pflugerville-Round Rock-North Austin area. Downtown Austin is a mere 30 minutes away. Community amenities include two community parks, gated swimming pool and 1.38 mile walking trail. 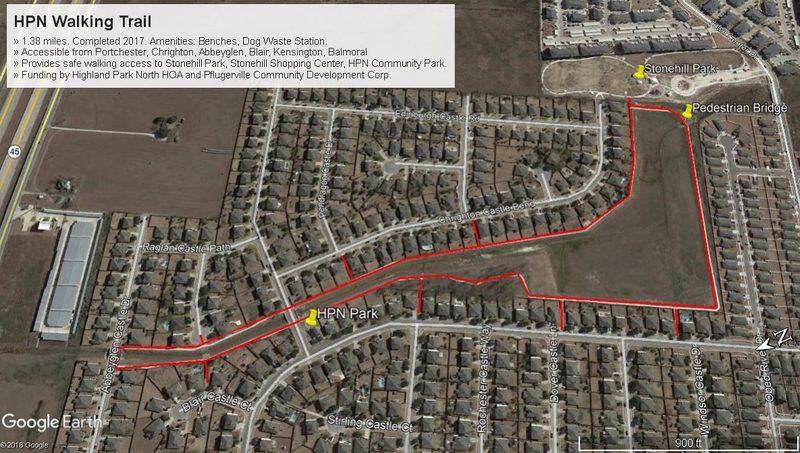 The City of Pflugerville Stonehill Park (opening summer 2017) and Stonehill Town C​enter shopping center is within walking distance. Highland Park Elementary school is located near the Heatherwilde entrance to the community. There is nearby shopping and dining in Pflugerville and Round Rock. Several golf courses and Lake Pflugerville are located nearby. Dell Diamond, home of the Round Rock Express, the Texas Rangers Triple A baseball club, is just a 15 minute drive. 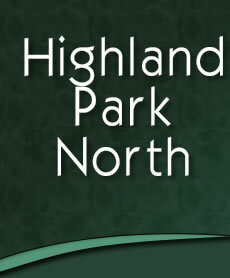 The Highland Park North Homeowners Association is very community focused and is homeowner controlled. Highland Park North Homeowners Association Inc.
Do not send or deliver payments to the above addresses as there will be a delay in credit to your account. Please click here for information on where to send payments. Please note that the Associa Hill Country website uses a different login and password - your hpnhoa.org login will not work on this website. If you need assistance registering on the Associaonline website, please contact info@associaonline.com.